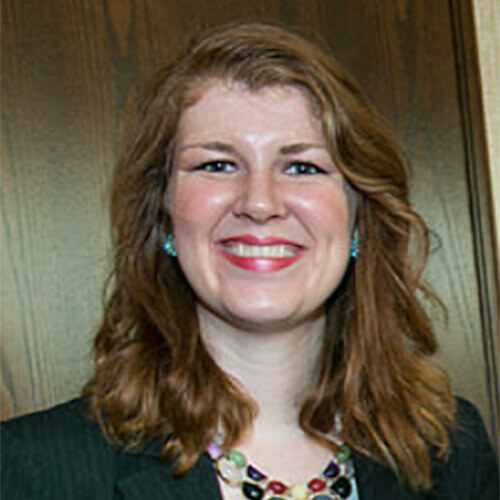 This week on NVTC’s Blog, Business Development, Marketing & Sales Vice Chair Jenny Couch of member company Providge Consulting shares how you can select the consulting firm that will actually help you complete your project successfully. Picture it: you’re leading a critical project for your company. Success is crucial. And you need to partner with the right consulting firm to make sure the project is a success. So, here you are listening to the fifth consulting company pitch to you today. Each company has promised to literally deliver you the moon if you just place your faith in them. They all have “the best team.” Each company is “innovative” and “world-class” and “client-focused.” Each company gave a visually-engaging presentation while delivering rapid-fire oratory about their “outstanding” experience. You’re tired. You’re bored of listening to the same presentation. And you’re not sure how to determine which consulting firm is the best out of the group that pitched. But you have to make a decision. You’ve got a project to move forward! So how do you separate the wheat from the chaff (please don’t ask, I don’t even know what chaff is), the weak from the strong, the… you get the point. 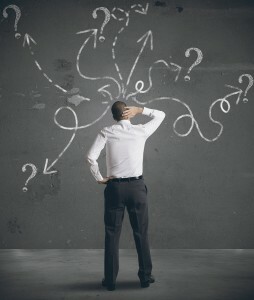 How do you select the consulting firm that will actually help you complete your project successfully? Confirmation they understand your project’s scope. During a sales pitch, make sure the firm clearly summarizes your project’s scope. Repeating it isn’t good enough (come on, we can all memorize a few lines). A firm should clearly demonstrate their understanding of your need and the scope. If they aren’t even clear on what the ask is, how can they deliver a viable solution? Bonus points if the pitching firm carefully articulates potential issues with your current scope. After all, you’re hiring them for their expertise – they should demonstrate their experience straight out of the gate. Hard evidence of their greatness. Every firm inserts the following words into their pitch at some point “We’re innovative, world-class, award-winning, best-in-class, outstanding service, client-focused, leader in the marketplace. We have the best team, the greatest tools, the best methodologies, the most cutting-edge solutions.” You get the point. It’s all fine and good to talk about how fabulous you are, but simply stating that you’re the world’s greatest whatever means exactly nothing if you can’t back it up. Look for firms that include evidence of their greatness. How many of their employees are PMP-certified? How many years of experience does the average consultant have? How many consultants have advanced training? What benefits do they offer to recruit the top talent? How long do their engagements last on average with their clients? What actual awards have they won? What tools or methodologies do they use that separate them from the competition? Leadership involvement. Go visit any consulting firm’s website right now. I guarantee you’ll find at least a paragraph, if not entire pages, dedicated to displaying just how focused they are on their clients. Frankly, this should really go without saying. A consulting firm’s business is the success of its clients. If you aren’t winning, we aren’t winning. And a firm that consistently falls down on the job is one that shouldn’t be in business long. But, regardless, a firm being client focused has become an ubiquitous statement in the industry. As with talking about how “great” or “innovative” a firm is, it’s not good enough to simply claim they are client-focused. Instead look for proof of their commitment to their clients through leadership involvement. At Providge, a Managing Director is assigned to every single account, and their cell number is turned over to you so you can reach out to them at anytime throughout the project’s lifecycle. That’s how we work to demonstrate our commitment to our clients, and you should look for similar involvement from your consulting partners. Mitigating strategies and fall back plans – not just empty promises. Sure, we’d all love to have our projects delivered on-time, and on-budget, with no issues whatsoever, no changes in scope, no significant conflict. But this isn’t going to happen. On any project. Ever. If a consulting firm guarantees they can deliver a project perfectly, without issue, conflict, or scope change, oh, and they’ll do it for just 3/4 of the budget, run in the opposite direction. Quickly. Issues, conflicts, and scope changes are bound to come up on any project. Budgets will change and timelines will shift. It’s completely normal. Don’t look for a company that promises to give you absolutely everything you’ve asked for. Look for a company that thoughtfully demonstrates how they proactively address issues and conflicts, how they limit scope creep, how they broach budget or timeline changes. Ask them for examples of how they’ve managed such changes on previous projects. Were the strategies they employed successful? Press them to demonstrate their expertise. If they don’t come to the table with plans for managing commonly-occurring project roadblocks, then cut ’em loose. Real responses to your questions. We’ve all watched politicians respond to questions by giving an entirely unrelated answer. “Thanks for the question, Bob, and let me just talk for a moment about how great this country is, how great the American public is. This country is great, Americans are great, and you’re great. I think that answers your question completely.” Consulting firms have a similar capacity to spin their responses to questions into another demonstration of how amazing they are, and how they’ll deliver everything you’ve asked for at half the price. So, if you ask a question on say, information assurance, make sure they respond to your actual question – perhaps they provide examples of their approach to information assurance on past projects. Perhaps, they discuss some of the best practices in information assurance and what might make sense for your organization to consider. Maybe the refer to the 75 percent of their team members who have advanced information assurance training. But if you ask about their approach to information assurance, and their response is, “Thanks for the question, Bob. Let me just talk for a minute about how great our company is and how innovative we are when it comes to information assurance. We truly are a world-class firm when it comes to issues of information assurance, and we’ll bring all that greatness, and innovativeness, and world-classiness to your project,” it’s time to give this firm the boot. This week on NVTC’s Blog, member company Providge Consulting’s Jenny Couch introduces five project management platforms that make managing your team and tasks easier for any project. You’ve just been assigned as the lead for a new project. It’s a great opportunity for your career. You finally have a chance to demonstrate your ability to manage a team. But first, you have to figure out how you’re going to, well, manage a team and their tasks. But fear not, there are a wide range of project management platforms that make managing your team and tasks easier for any project. The list below is just a handful of the platforms available. I selected the five below for a few reasons: I have personally used them to manage a project; they represent the wide range of options available on the market; and all 5 – Asana, Basecamp, Microsoft Project, Evernote, Insightly – improve project transparency and collaboration. Make sure to research your options as one of these other platforms might be a better fit for you. Best For: Teams that want a straight forward way to track project tasks, and monitor progress. You’re the type of person that doesn’t want all the fancy ‘bells and whistles.’ You want to know what’s due when, and who is involved. You also likely love making to-do lists as the interface feels akin to an old-school, paper-based to-do list. Key Features: I personally enjoy Asana’s interface, and focus on a few core features. It prevents you from feeling overwhelmed. Or, like your platform isn’t helping you to do the one thing you want it to do – manage a project – because it’s too complicated to use. It does take a little time to get used to some of the options – like commenting on tasks, etc. but once you have the hang of it, it’s easy to use. The activity feed bears a similarity to Facebook (unsurprising as it was created by a Facebook co-founder), which makes it easy to start using. Project permissions are also a great feature, allowing you to limit who has access to each project. Pricing: Free for the basic package. If you want to upgrade to premium, prices start at $21 per month for 5 users, up $750 per month for 100 users. Best For: Are you looking for a simple, aesthetically pleasing tool, that still offers a solid range of features without overwhelming you? 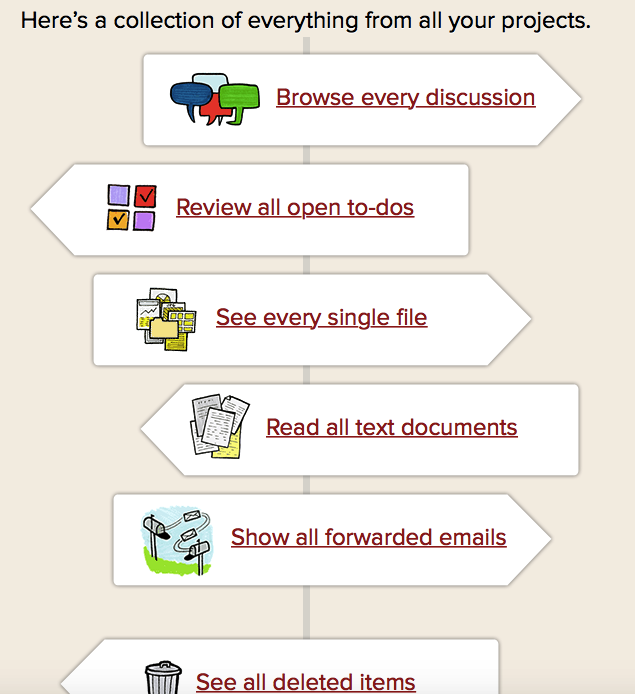 Then Basecamp is a great choice. It’s important to note though that Basecamp, while providing some excellent features, doesn’t provide everything you might need to effectively manage your project. A wide-range of separate services exist that integrate with Basecamp, but it will get expensive quickly. Key Features: Although we didn’t have to use, the support from Basecamp is supposed to be excellent. You can easily customize your project view (list, snapshot, snapshot w/summary); and you have the ability to display projects in all sorts of formats: calendar view, open tasks, project progress. It’s also easy to view everything currently assigned to you in one place – just click the “Me” button in the header. The view “Everything” option is helpful too, as you can view things like “Browse Every Discussion” or “Read All Text Documents” with one click. Pricing: 60 days of unlimited use for free. Prices range from $20 per month for 10 active projects, with 3GB, and unlimited users, to their Unlimited package which costs $3,000 per year. Integrations: Harvest, Cyfe, cloudHQ, LucidMeetings, and many others. Best For: Projects with strict timelines, loads of dependencies and buckets of cross functional interaction. You should also have experience using Microsoft Project previously. It’s a wonderfully robust tool, that can do amazing things, but it’s very easy to start abusing the tool’s features if you don’t have experience using the platform. Key Features: Where to even start? 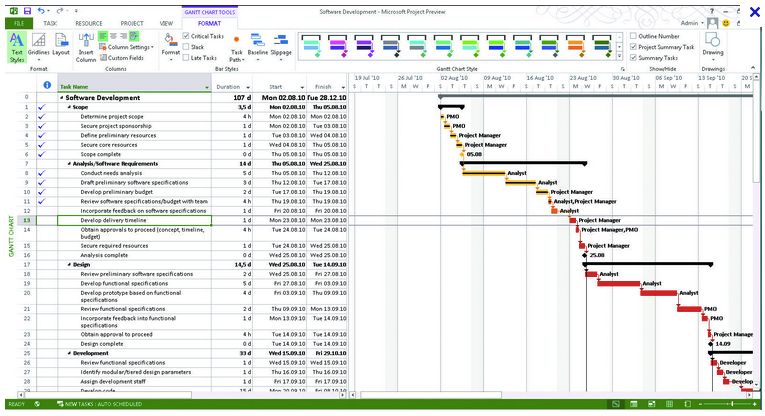 The Gantt charts, which visualizes your project timeline, can help you determine at what points your team members are over-extended. The ability to create dashboards on project progress is extraordinarily helpful if you will frequently be presenting to project status updates to leadership or executive teams. The templates Microsoft Project offers may decrease the time you might otherwise spend building out the structure of your project. Pricing: The pricing for Microsoft Project varies wildly depending on how you want to access it and how robust you want the features to be. It ranges from $7 per user per month, to a one-time $1,159 bill. Integrations: Skype and Sharepoint depending on the package you select. Best For: Projects without hard deadlines, and lots of dependencies. It’s a great platform for creative-driven projects where you might be constantly snapping photos of concepts or potential ideas to review later. It’s also a great platform if you frequently need to brain-dump as it’s search capabilities are marvelously powerful (search by tags, notes, notebooks, keywords, etc.). But if you need to stick to hard deadlines, and have a rigid task process, Evernote is not going to cut it. Key Features: Evernote doesn’t immediately come to mind when considering potential project management platforms, but that’s only because we’ve underestimated just how powerful Evernote can be for the right type of project. 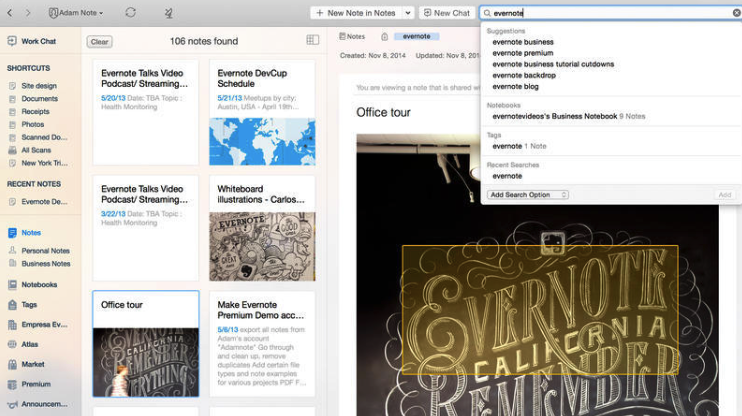 You can share notebooks with your teammates, use Evernote’s chat feature, set reminders, and tag your notes to make searching easy. If you’re constantly on the go make sure to take advantage of Evernote’s new auto-capture feature for all sorts of documents (whiteboards, post-it notes, pages, etc. ), and its voice capabilities. And they recently launched their new web clipper tool, allowing you to easily save anything you find interesting on the web. Pricing: Free for the basic package. The Premium package is $49.99 a year, but features a number of worthwhile features such as offline access, the ability to annotate PDF attachments, and unlimited uploads. Integrations: So. Many. Options. RedBooth and SmartSheet (two other project management platforms not covered in this post). Expensify (save and manage your expense reports – amazing! ), CollabSpot, EasilyDo, Pocket and so many others. Best For: Smaller teams and projects with a limited number of dependencies. Also, fans of Google Apps. Insightly plays well with the entire Google Suite. You will likely need to invest some time up front in customizing Insightly to suit your project needs – I wouldn’t recommend using this platform, unless you plan to also use the CRM platform (see the note on pricing), so this platform may be best suited to marketing or sales teams. Key Features: The ability to customize the project form with your own fields to meet your needs. Similarly, you can create project pipelines and stages which is useful for projects that have similar steps. The linking feature is another helpful component, allowing you to link any project to a contact, company, or opportunity. Pricing: You can’t access the Project function as a stand-alone, as it’s part of Insightly’s larger CRM platform. That said, the pricing for the entire platform is very reasonable. Insightly offers multiple packages, from the Basic package which is free, to an Enterprise level offering running $99 per user, per month. Integrations: MailChimp, Quickbooks, Google Apps, Dropbox, Box, EverNote and many others.